These give you that chocolatey sweet taste without playing havoc with your blood sugar. They also make a lovely Christmas present – if you can stop yourself eating them, of course! Adapted with thanks from Breaking the Food Seduction by Neal Barnard, M.D. 1. Place syrup, nut butter, cocoa or carob powder and oil in a medium saucepan. Warm over low heat until melted and well combined. 2. Remove from heat and stir in vanilla. Add optional extras now if using. 3. Using a sturdy wooden spoon, stir in crushed rice cakes or rice cereal until thoroughly incorporated. Let the mixture cool until it can be handled easily. 4. Roll between your hands into marble-size balls. 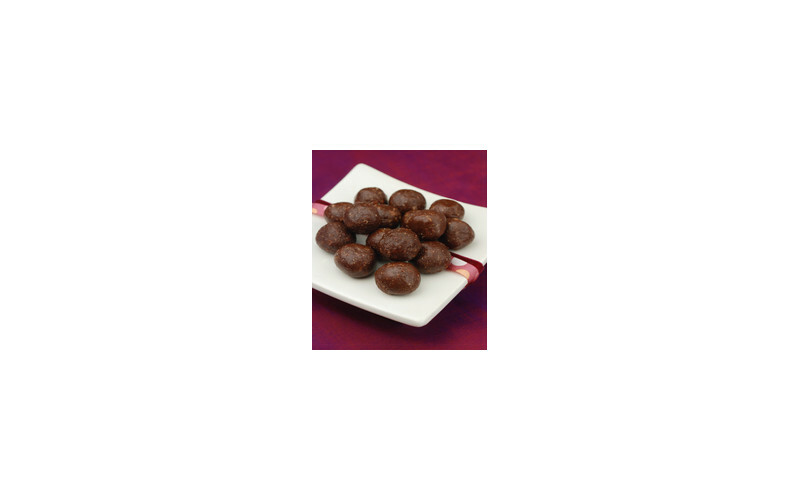 Place each ball as it is formed on a sheet of baking parchment or petit four case. 5. Store in an airtight container in a cool place or fridge. Will keep for about 7-10 days in the fridge.